Maru is a new initiative in this regards based on Linux eco system. Which aim to port two different version of OS experience in mobile phone where it`s differ from others like Ubuntu as well as Microsoft. Main problem faced by both tech giants in this field is nothing but creating seamless Single OS for both small as well as big screen, where they struck and try to find some unique way to solve this problem. 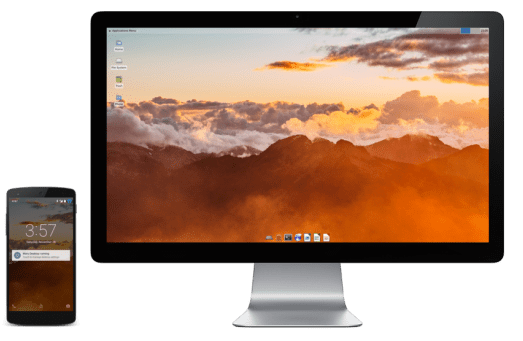 On the other hand Maru aim to solve this by providing two different version of OS in a mobile, run according to the situation, First one latest Android lollipop, which is the primary Os for your Smart phone, when you plug it into a desktop it will run debin Linux , which produce full desktop experience from your smartphone rather than Windows or Ubuntu. When you’re at your desk, Maru is your desktop. It brings you true multitasking and desktop productivity in a lightweight package. Peek under the hood and you’ll find rock-stable Debian Linux, so you can customize it to your heart’s content. 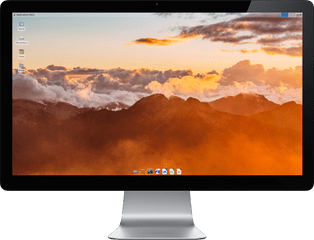 Maru automatically detects when an external display is available and spins up your desktop. It boots in less than 5 seconds. Any Android-compatible bluetooth peripherals will work with Maru. Maru takes advantage of your HDMI screen to bring you multi-app, desktop-class productivity. Create a spreadsheet, perfect your slide deck, or spiffy up your resume. You’ll never believe you could get so much done with your “phone”. It takes personal computing one step closer to closed-loop. Your hardware’s capabilities are shared across your mobile device and desktop so you don’t have to context-switch around so much. Say goodbye to coordinating your work among dozens of different devices. SD card data like camera photos and downloads are shared so you can coordinate your work seamlessly. Your network, whether WiFi or cellular, is shared between mobile and desktop. Never deal with spotty tethering hotspots again. Maru opens up a whole new world of possibilities. Nothing’s stopping you from installing the tools you need to make Maru your own. 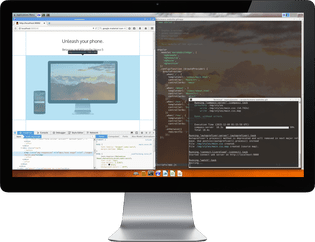 Set up a portable development environment, fill out that annoying form that doesn’t render properly on your mobile browser, or even run a webserver–it’s really up to you.